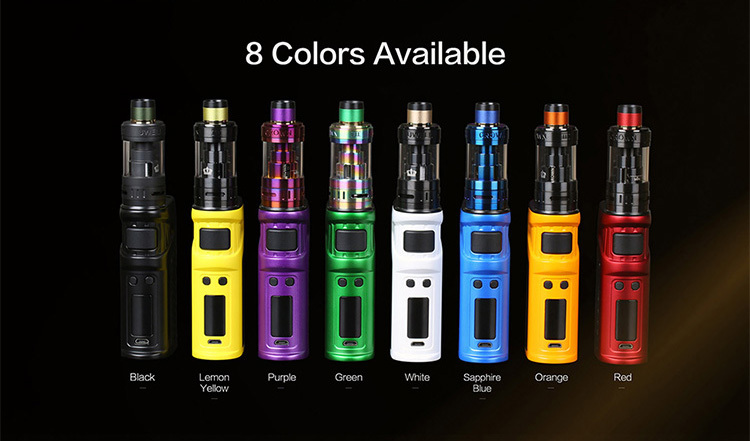 Uwell Ironfist 200W TC Box Kit comes with the Ironfist 200W TC Box Mod and Uwell Crown 3 Tank. Features the exclusive single switch that is no need to click the fire button 5 times, more simple and safe than other mods. Uwell Ironfist 200W TC Box Kit comes with the Ironfist 200W TC Box Mod and Uwell Crown 3 Tank. Features the exclusive single switch that is no need to click the fire button 5 times, more simple and safe than other mods. 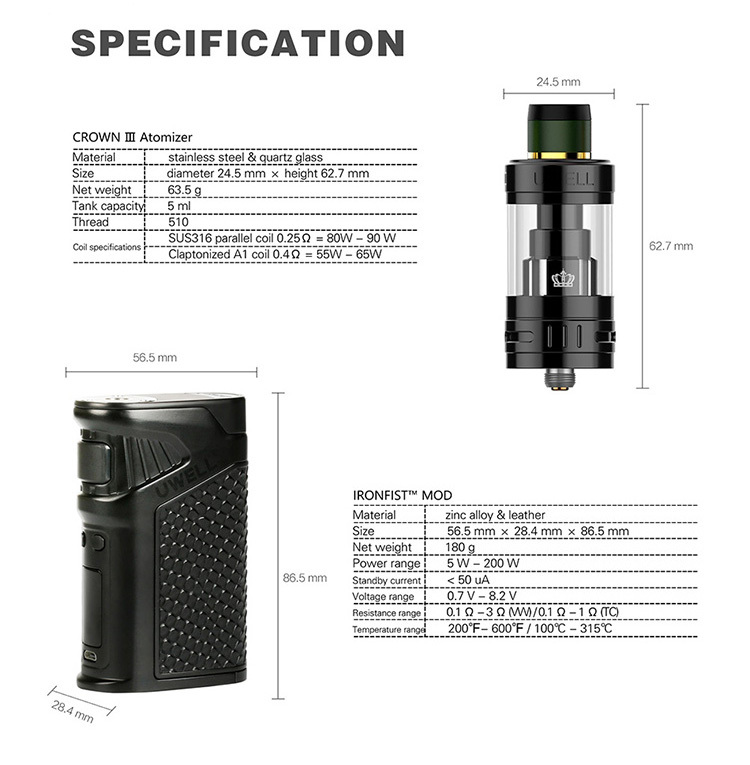 Design with the Crocodile Skin, Snake Skin and Pearl Skin appearance, it is the unique compact mod on the market. There are multiple protection functions to guarantee the safe vaping. Paired with the Uwell Crown 3, it is easy to replace the coil and brings the best flavor.